Nothing could make me take my eyes off the television—I was desperate to soak up every last bit of pride that radiated from the screen, and every last word spoken soaked into my 21-year-old soul. It looked like the best of Nunavut had come together. The territory was being born in Iqaluit, and lavish ceremonies were underway in celebration. From my mother’s home on a quiet street in Arviat where I bore witness to the monumental occasion, I remember thinking how hugely confusing the whole thing was to me. I can’t remember exactly when I had first heard about Nunavut, but it was probably around the time of the referendum in 1992 that asked NWT residents to vote on the proposed boundary. I would have been around 14 and I couldn’t wrap my head around how I would use the word Nunavut as a place name. In Inuktitut, it didn’t work like other place names, which typically describe a characteristic of a particular area or place. It sounded very awkward. Words like “Nunavummiut” still do not make grammatical sense to me in Inuktitut. A few years later, my concerns became much greater than grammar. 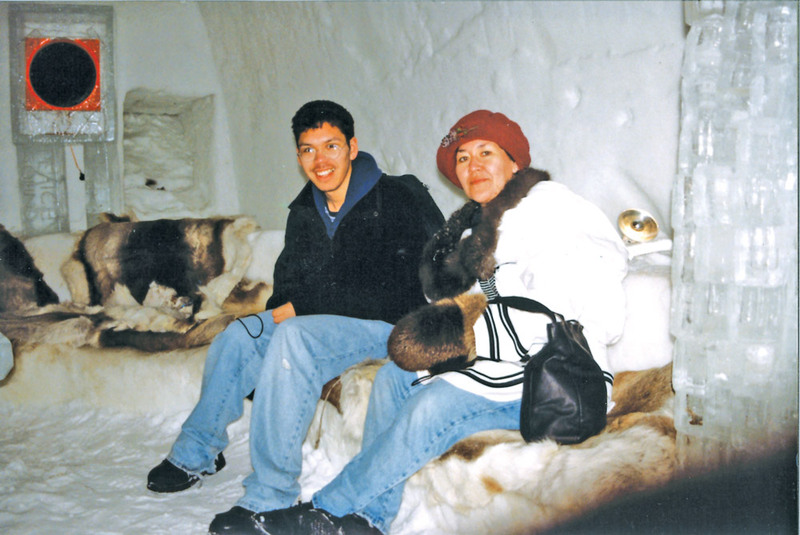 I was enrolled in the Nunavut Sivuniksavut training program and graduated the year before Nunavut was born. It was during my studies there that I learned Inuit were going to be left with ownership of only 17.7% of Nunavut territory—basically dots within the total 1,994,000-square-kilometre landmass. I was immensely disillusioned. Why was it called Nunavut, our land, if we had signed away the vast majority of the rights? Why were we giving up so much of our land? Why did our Inuit leaders negotiate to “own” what we never gave up in the first place? Was it because we were so powerless and dependent that we had no choice but to beg for what was already our own? The more I learned about the Nunavut project, the more I questioned the power and validity of the land claims agreement, that it would actually benefit Inuit in ways that were initially envisioned. When people talked about Nunavut, it was always about taking back control. Inuit felt that too much of our autonomy, independence and self-determination had been taken away, and it was time to reverse that destructive and oppressive trend. Nunavut was the shining beacon of hope and optimism Inuit were so desperately craving. In my young and inexperienced mind, I didn’t understand many of the arguments that were being made for the creation of Nunavut. From my view, our families and friends went hunting and camping whenever possible. Inuit were politicians on the hamlet council, in the territorial legislature and even in Ottawa. We were all speaking Inuktitut to each other. We watched Inuktitut programming on television. We were listening mostly to Inuktitut programming on the radio. We were taught the dual Inuktitut writing system in school and became perfectly literate in that. If our parents or other family members were not teaching us how to make traditional tools or how to work with skins and to sew, we were learning them in school too. My fellow Arviarmiut were graduating from high school and becoming nurses, teachers, police officers and some were successful entrepreneurs. Heck, Susan Aglukark was becoming a big star and we used to be neighbours! I was a happy Inuk. What was all the fuss about? It’s been 20 years since I sat with those questions. I now probably share the same frustrations as our early Inuit leaders. The Government of Nunavut does not receive anywhere near the amount of money it needs to implement the true spirit of the land claims agreement that gave it life. Nunavut needs strong political will and adequate resources from the federal government if Inuit are to finally realize their 40-year dream to govern themselves. Simply creating a Nunavut Territory with a public government was never going to be enough. The GN’s Public Service Annual Report for 2017–18 shows that the average annual salary of Nunavut Inuit was $21,767 lower than that of non-Inuit. Furthermore, the number of non-Inuit employees outnumbers Inuit in all salary ranges from $80,000–$90,000 upward. It’s no secret that in our country, the higher the job is on the corporate ladder, the higher the salary. So, who is making the decisions that we were promised would be ours to make? This issue is at the very core of the creation of Nunavut. It was and will always be about Inuit and our desire to decide what is right for us. As Inuit, we absolutely have to do our part to ensure that we can take on those responsibilities that would allow us to be the true decision makers. But we can only do so much to help ourselves without adequate support systems and resources. We were forced to give up way too much when powerful outside forces saw the great potential of our land, water and resources. They were taken freely. And it was those same powerful outside forces to whom Nunavut Inuit had to prove that our land was indeed ours; that we have used and occupied this land for longer than any other group of people. We were forced to give up even more to get Nunavut. We have Nunavut now—the promised land. But it will only ever be ours in name and title until Inuit are able to unequivocally and without interference from others hold the power to govern ourselves. Some days, Nunavut may have seemed an insurmountable goal for Inuit during the days of negotiations with the federal government. But it happened and we celebrated. Our early Inuit leaders look to us now with hope that we will focus our youthful energy to attain self-determination for Inuit across our homelands. Kevin Kablutsiak is from Arviat, Nunavut. He is a former reporter and host of Qulliq with CBC North in Iqaluit. He now lives in Ottawa and works for Inuit Tapiriit Kanatami. All opinions expressed within are my own and do not represent the opinions of my employer, Inuit Tapiriit Kanatami. There must be some sort of miscommunication between the Fed and Nunavut. Firstly, Nunavut was unable to stand on its own two feet in 1999. There was and still is a transition, a work in progress. In other words there was neither the infrastructure in terms of capital or people to do the job. 2nd, Nunavut does recieve substantial FED dollars not only from Territorial transfers but from other FED sources. If anything the Territory is awash in FED dollars. 3rd, this is not Nunavut alone but rather a Territory within a Confederation. Just as BC or Ontario must work within that given system so must Nunavut. Considering the fact that the Territory is generally on the recieving end I would quit carping about your disillusionment and get on with it. When Canada created Nunavut there was a understanding by all that there would be a transition period as the territory’s residents developed skills that they did not have, and that resided mostly with personnel based in the west of the NWT. This development will take generations. Comparing salary levels of the Inuit and non-Inuit territorial employees is a silly exercise.It would be better to compare qualifications and experience of different ethnic groups holding the same jobs for any disparities. The highly paid among the government tend to be the highly qualified/educated. Until Nunavut Inuit start getting the education and experience needed to fill this highly qualified positions there will be many more Inuit manual labourers with the GN than accountants, physicians, or lawyers. A better conversation would focus the reason so many Inuit students don’t take full advantage of of myriad of study opportunities available to them. There seems to be an attitude among many Inuit that any and all jobs within the territory are, or should be, theirs by birthright; the term “beneficiary” itself implies this. Whether that’s reality or not, it is accompanied by little understanding or appreciation for the higher levels of education required to really succeed in those positions or in the modern work force. One reason, beneficiaries are often put into professional positions without adequate training and education so the message is, you don’t really need it. HR contorts its standards as much as possible to this end. In the end many of these employees can end up overwhelmed and eventually quit. I do think this is changing though, and will change, but it is doing so among a small class of Inuit who have the means, and the understanding and vision to invest in their own future. In a major way this involves profound cultural change. That can’t be easy. When Nunavut became the official name, it also became the English name. Thus to say “Nunavmmiut” is a misnomer. I always felt that we should say “Nunavut-miut,” which is more grammatically correct. Sure it works well when Inuktitut is spoken but to use it in English, it doesn’t mean anything. We cannot Inuktitutize official English names in my opinion. Whoever came up with that awful word was probably trying to help Inuktitut speakers but it doesn’t do the English language any justice. To paraphrase Erroll Fletcher… Nuna-vu… Nuna-vut… Nunavutme… what? Just say ‘People of Nunavut’ instead. The GN doesn’t receive enough money from the Feds? The fact that a territory of 30, 000 people gets this money is obscene. The territory cannot even generate enough tax revenue to cover a fraction of what is paid. Make no mistake: this territory is 99% funded by the rest of Canada. It’s hard to believe there hasn’t been more outrage from more economically depressed areas of this country about the unfairness. The continuous culture of entitlement that because you’re a beneficiary you should earn more than southerners is flawed. Sorry, you can’t be a doctor unless you go to medical school. You shouldn’t be a teacher or any other type of high paid professional unless you are qualified. The constant push to lower standards to bolster Inuit employment numbers is flawed, and will be costly for the public in the long run. Anyone living here knows how lax standards are already, I for one can’t accept any lower. If you’re not qualified, take advantage of the plethora of Inuit only benefits available to you. If you can’t be bothered then accept that you earn what you’re worth. Thank you Kevin and the commenters here. Unfortunately Kevin, you possess a bounty of naivete and a assert a power of entitlement that is dangerous. In a recent article at NN, the author (Chris Douglas) spoke of “rapid economic growth” – growth due to increases in federal transfers directly to GN; federal spending on programs and transfers that go directly to Inuit agencies or Nunavut beneficiaries; funds spent for federal agencies and staff that are based in Nunavut; and federal monies that fund capital projects such as housing and infrastructure like airports and seaports. That federal spending has increased dramatically each year of the past twenty. Despite that, internal economic growth has been nominal and productivity change has been negative. In total the “economy” has doubled in the past twenty years and the population has increased by just over 40%. All the while and across the spectrum, health indicators and productivity from the wealthiest to the poorest beneficiaries has declined steadily. A truly sad state of affairs. On the fringes of these federal investments in people and infrastructure – mining exploration and development, tourism and NGO research have boomed. Retail in Iqaluit and a couple of other centres has prospered. Travel from and to Nunavut has become an industry unto itself, much of it enabled by federal spending. Often, health care and social services are provided to beneficiaries to receive those benefits in provincial or NWT facilities. I could add to the list substantially. Who is benefiting? The teachers and health care workers who temporarily reside in Nunavut to treat and train? The engineers and accountants who come to design and record? The tradespeople and technicians who come to build and maintain? Perhaps. What about the beneficiaries who might have received a little more than their just share of the funds? Have they increased their contributions to society and increased their productivity? Are they healthier and wealthier? Are their children making a proportionately larger contribution, attaining higher education and raising their own productivity? Have a look around and what do you see? Seriously, Kevin Kablutsiak. At age 41 and having been around the block, is it really necessary for you to try to trip us with such rhetoric? Whether your comments represent only your own thoughts or those of your employer, Inuit Tapiriit Kanatami, is irrelevant. A history and political science lesson is in order for you. Rob, are you the same person as SirSpamsAlot, or is SirSpamsAlot a parody of you? The tundra wants to know. I always love it when people tell us how to run our territory when they don’t even live here. I have a suggestion. Inuit have probable grounds to rip up the NLCA. Hardly any of the agreement have been met. So let’s take back all 100% of our land and our aboriginal rights. Inuit lost this one and you don’t have to go that far to see the plight of Inuit. Hello, Im a philosohpy and cultural gestion student from Mexico. I am doing a thesis on the Nunavut case, on marginalization and on the ineffecency of public policies form the federal government. I would like to contact the author and other locals in order to work on this and rise more awereness. Can anyone help me?